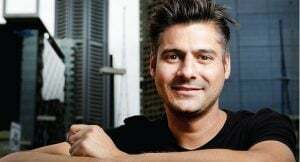 Scottish comedian Danny Bhoy’s latest tour Make Something Great Again For Stronger Better Future Tomorrow Together is a great evening of comedy. Discussing a range of topics from religion right through to politics (both here in the UK and further afield… Trump, anyone? ), Bhoy’s show is random in topic but he clearly has a talent for making even mundane and serious subjects laugh-out-loud. Despite a rowdy crowd and a number of hecklers, Bhoy handles them well and manages to develop moments of great comedy out of the random comments shouted out by the audience (shame on you, Leeds). His show is arguably made funnier by his opportunity to go off on a tangent and interact with his audience. If and when he returns to Leeds, I’ll be returning to watch him. Catch Danny Bhoy’s tour, happening at a number of venues throughout the UK in October and November 2017. If and when Danny Bhoy returns to Leeds, I'll be returning to watch him.